1 The Inca Trail To Machu Picchu in Peru What A Challenge! 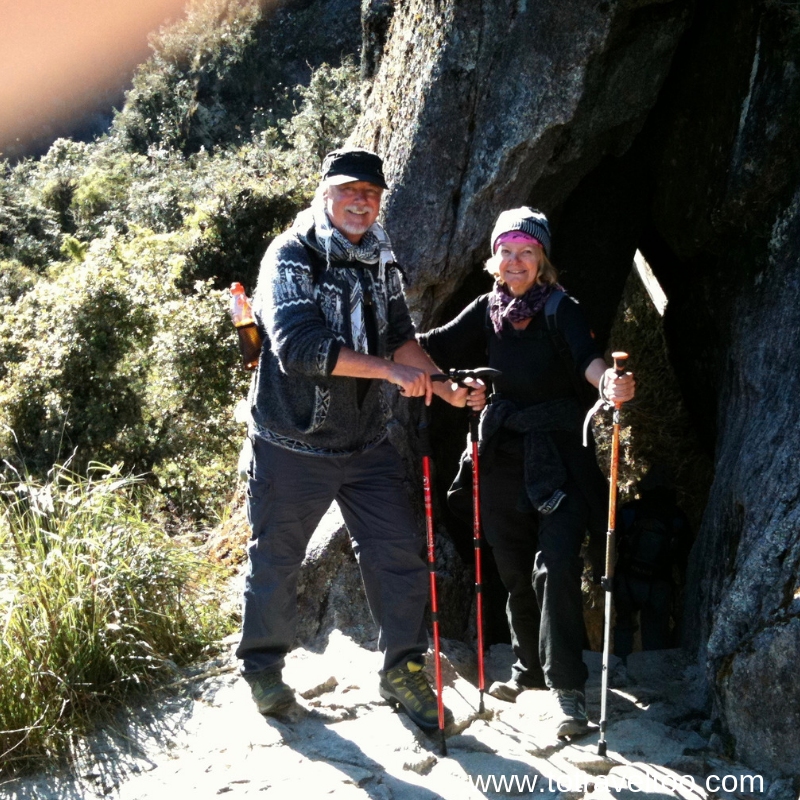 The Inca Trail To Machu Picchu in Peru What A Challenge! Machu Picchu! A destination that had not really crossed our minds, until our eldest son had completed the trek. We mentioned that the luxurious train sounded wonderful. He laughed and said ‘that is not the way to do it, you are going to do it but you are trekking it’. For your information, we were novices at trekking and camping and we were baby boomers but we made it. It may not be for everyone, and we would not recommend that you do it unless you have a level of determination, as once you are on the path you cannot turn back. 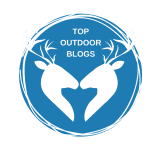 One of us had a ‘big meltdown’ on day 2 ….. read on to find out who and why and how it was overcome! All we ask is that don’t be put off, it is one of those most amazing experiences. 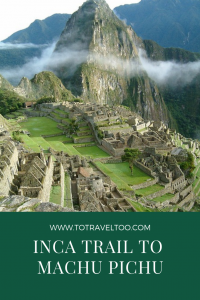 Most importantly, the Inca Trail is booked out at least 6 months in advance each year and the trail closes in February. We can’t highlight enough that you need to plan for this well in advance so that you are not disappointed. 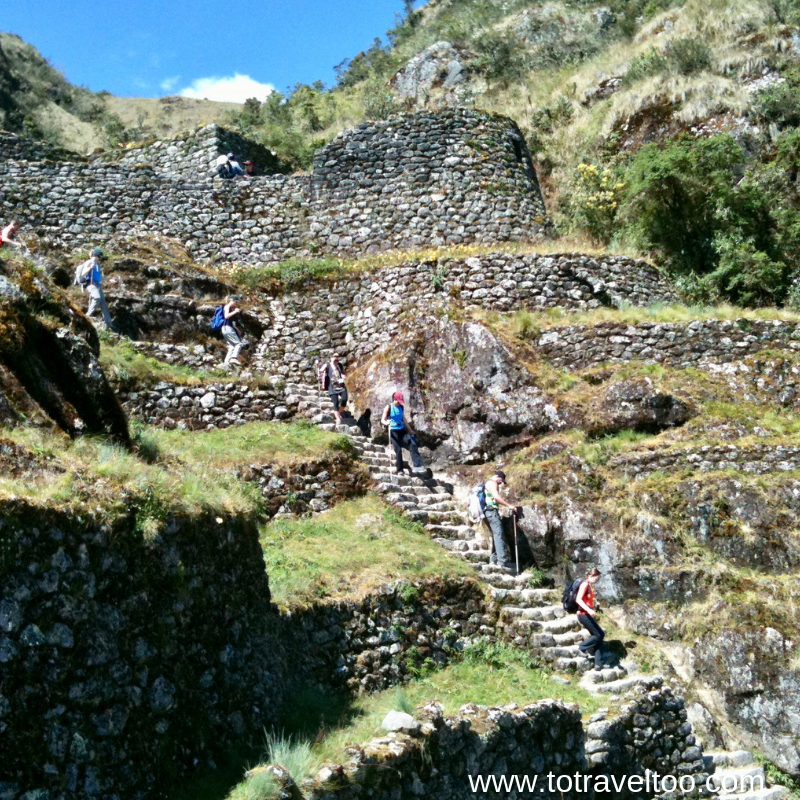 You will need to plan your Inca Trail Trek well in advance. To reserve your place in a small group tour on the 4 day/3 night trek book here. Trekking is not for everyone, and it nearly wasn’t for us. For those of you who want to visit Machu Picchu, you can visit in a day. Government regulations have stated that there are two sessions now, Morning and Afternoon. As Machu Picchu is Peru’s #1 destination it does get booked out in advance even for day-trippers. If the 4 days 3-night trek is not for you we can recommend a day tour by train from Cusco but you will need to plan in advance as these are very popular. There is another alternative if you want more than a day trip and the Inca Trail 4 day/3 night trek is fully booked you can consider the Salkantay Trail. 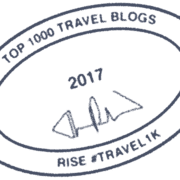 At the bottom of our article, we have included ‘essential visitor information‘ for you which includes a recommended packing list, transport, permits, weather, alternative Salkantay treks if the 4 day/3 night is fully booked and accommodation recommendations for you. 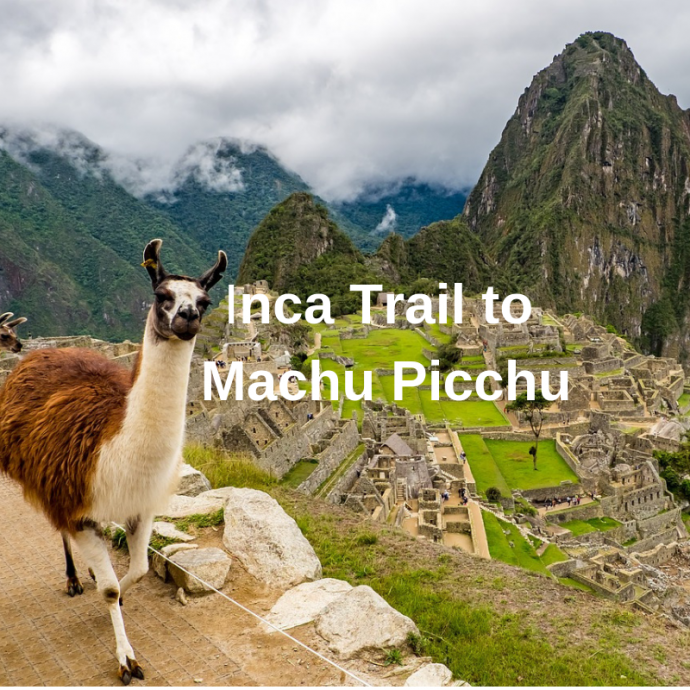 If the Inca Trail to Machu Picchu is on your bucket list you will need to plan in advance for this trek. The Peruvian Government has strict regulations on how many people can be on the path at any one time. 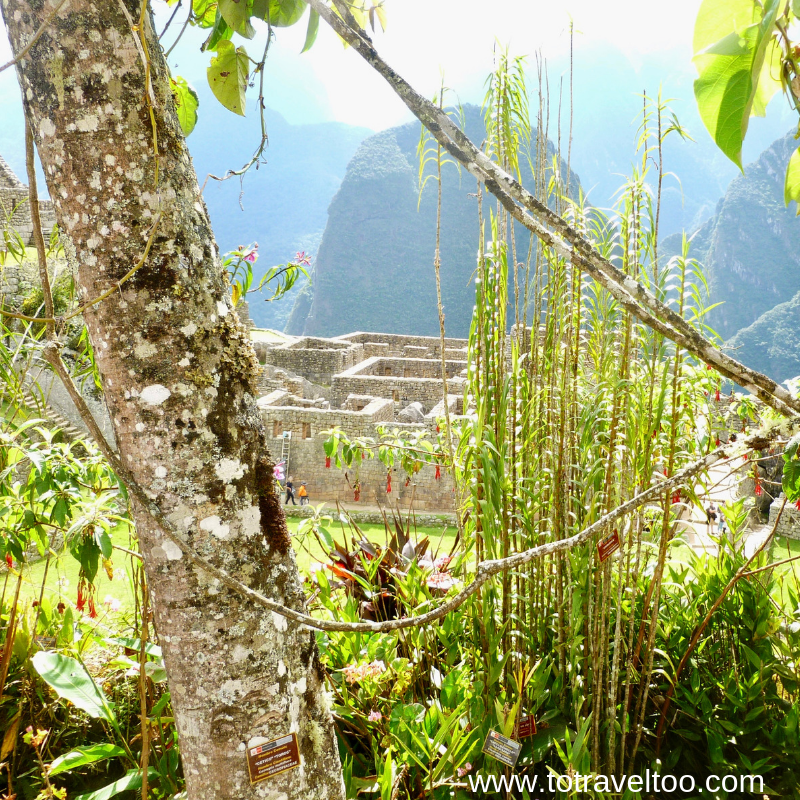 There are many Machu Picchu Tours available and you need to know as much information as possible before you book. Current regulations state that at any one time only 500 persons per day for the 4-day trek are allowed and that number includes guides and crew. Each company can only have 42 in each group which is made up of 16 visitors, 2 tourist guides and assistance crew (cooks and porters). You will also need a certain level of fitness to complete the Machu Picchu hike. Altitude sickness is a factor that everyone should consider. In our article we share with you all that we experienced, the highs and the lows and the meltdowns. The day had arrived to start the Inca Trek to Machu Picchu. We felt nervous and excited all at the same time but your mind plays games with you, fear steps in. We are two Australian Baby Boomers off on an adventure. Jane had never trekked or camped before. Duncan had experience as a Sea Scout in his youth, a 3-day trek across the moors of England as a teenager and several camping trips to Europe in his twenties. Since leaving Sydney on the 21st February we have walked many kilometres daily on our adventures. We believed our fitness levels are up to the steep climbs and descents that we were going to tackle on the Inca Trek to Machu Picchu, but you just never can tell. Had we done enough? Day Two of Machu Picchu climbing up to Dead Woman’s Pass at 4200m was supposed to be a killer. We already knew the feelings of altitude sickness. Duncan succumbed to this on our very first day in Cusco as we landed from our Lima flight. The breathlessness coupled with the headaches made walking around Cusco a chore. Drinking plenty of coca tea and chewing coca sweets certainly worked. We were pleased that we had arrived in Cusco two weeks prior to the trek to acclimatise. 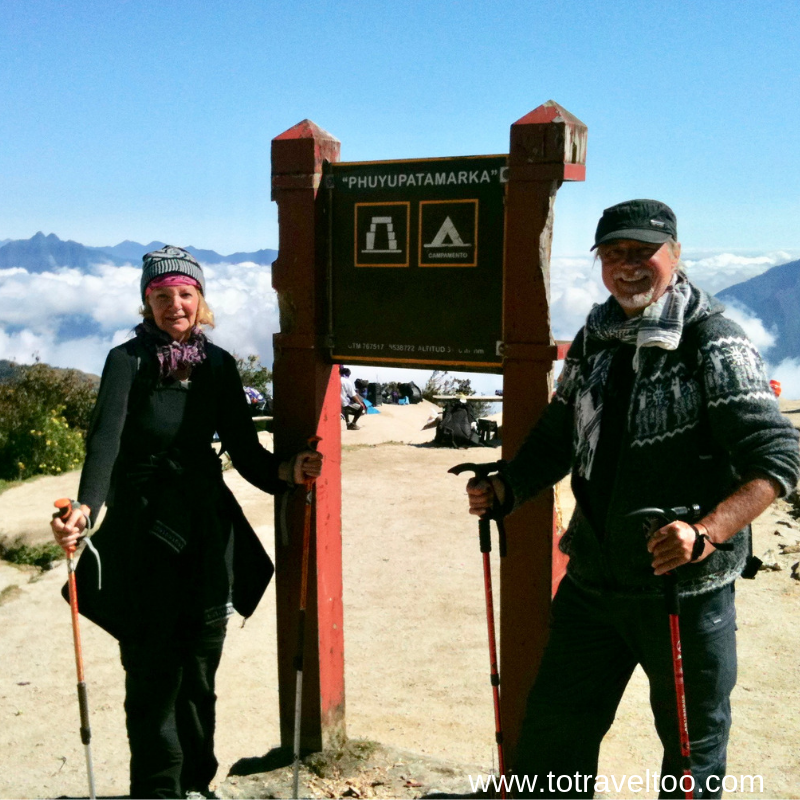 The challenge in front of us was 43km of trekking that will lead us to the “Lost City of the Incas” Machu Picchu. The alarm rang at 4.30am. It was dark and very cold outside. By the light of our headlamps, we managed the steps down the San Blas area of Cusco to the Inca Trail Reservations Office at the bottom of the hill. It was spooky and misty. We were the only ones waiting, ten minutes later other trekkers came towards us through the darkness. We wondered if they were in our group, and tried to recognise them from the orientation the night before. 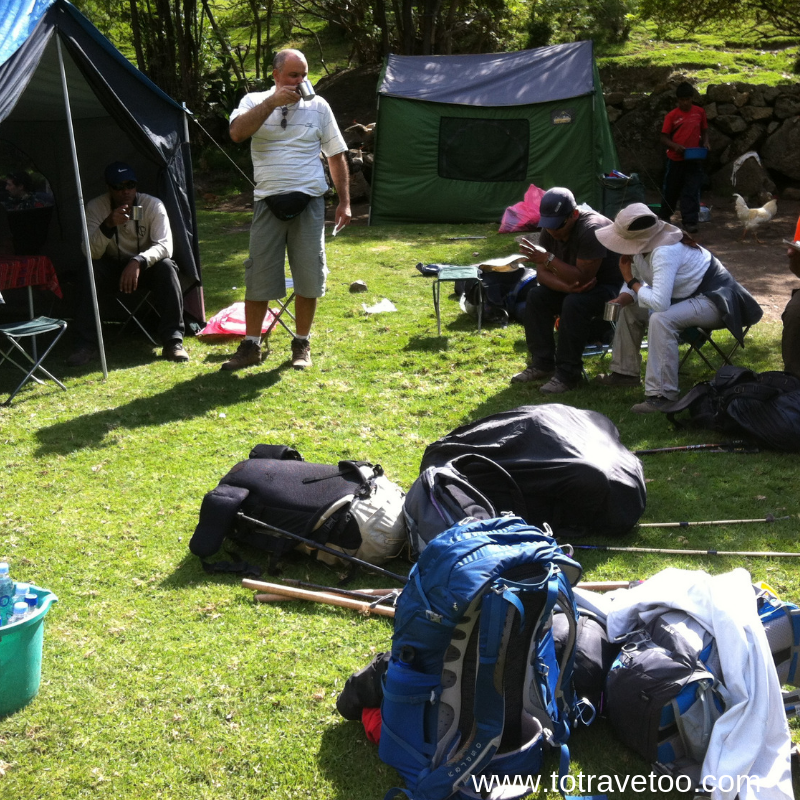 After a few more minutes waiting, more trekkers joined us but they belonged to different tour companies. Shortly, our tour leader Victor arrived and we boarded the bus and headed off to another pickup point collecting the rest of our group as we went. We drove through the stunning Sacred Valley past the Urubamba River and reached Urubamba where we stopped for a cooked breakfast. In Ollantaytambo, we stopped to collect our porters and last minute supplies and then headed down to Piscacucho, or KM82 which is the official starting point of the Machu Picchu Inca Trail. On our arrival at KM82, we were met by the rest of the crew and the porters. We hired an extra porter to carry our change of clothing and snacks. This turned out to be well worth it, leaving us to trek only with water, daily snacks and gloves, hats etc. The temperature changes as you ascend and descend and you need to be prepared for all variances. We stocked up on chocolate bars, Gatorade, nuts and dried fruits. On certain parts of the trail on the first and second days, you can purchase energy drinks, chocolates and chips but choices were limited. Our group was ready and we headed towards the check point where our passports and trail permits were officially stamped. We crossed the suspension footbridge over the Urubamba River to where our trail began with a heightened level of excitement. We followed the course of the river and headed off through the country side which Victor called the relatively flat terrain – Andean Flats. Do not be fooled by the word ‘flats’ the first small hill up from the suspension bridge had us gasping for breath. This was not a good start and we became a little worried at this stage. Trekking Machu Picchu was not going to be an easy stroll through the valleys. The group moved on at a steady pace, falling into a natural rhythm as we learned how to trek with our walking poles. Llamas grazed beside the path as we passed several Inca ruins. For three hours we trekked and admired the snow-capped peaks of Wakay Willka (Veronica). In the distance, we could see the Inca Fortress of Willka Raccay. As we crossed the river, the tents for lunch were already set up, ready and waiting for us. We sat down to a starter of guacamole and local bread. Jane is a vegetarian and had concerns regarding the availability of vegetables and the variety of the menu, but she didn’t need to have worried at all. Local grilled fish was served with salad and vegetables and Jane had an omelette. The meals over the next 4 days consisted of local Peruvian vegetable soup, eggs, chicken, pasta, vegetables, popcorn, pancakes, porridge and hot chocolate. After a satisfying lunch, we continued onwards and upwards towards the settlement of Llactapata and admired the impressive Inca farming terraces. Our trail led us steadily up the hill, some parts steeper than others, towards the village of Huayllabamba, 3000m above sea level where we spent the first night. On arrival we had just enough time to be shown to our two man tent, drop our day packs and head towards the dinner tent for our first evening meal. If all the meals at dinner were like this one we were definitely on a winner here. After the exhilaration of the first day, we headed off to bed early, knowing full well that we had an early start tomorrow morning. Today we trekked Machu Picchu for 5 hours and a distance of 12km. At 5.00 am in the campsite on the Inca Trail of Machu Picchu the chillness of the dawn spread through our bones. We heard the movements of the porters and our guides going from tent to tent waking everyone with a cup of hot coca tea which helped the altitude sickness. The porters brought us boiled water to fill up our drink bottles. Today was considered the hardest day of the Inca Trek to Machu Picchu as we were to climb to Dead Woman’s Pass reaching an altitude of 4,200m above sea level. After we enjoyed our substantial breakfast of porridge, toast, pancakes and hot chocolate we left the camp at 6.00 am. The porters packed the tents, chairs, food and our extra luggage. These guys are really amazing, as we struggled with our little day pack of water and snacks they carried 15kgs each and most of the time ran to the next pit stop. Recent regulations stated that porters are not allowed to carry more than 15kgs each on the Machu Picchu Inca Trail. 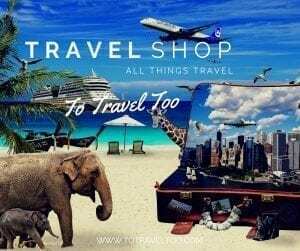 To Travel Too tip: ensure that the tour company you use has this policy and that they adhere to it. We trekked through Llulluchapampa seeing hummingbirds and other local species of birds that we didn’t recognise. Llamas looked on at us with amusement. From here the trail took us through the cloud forest before we entered the Puna, treeless grasslands only found at this altitude on the Andes. It was a tough climb that morning, the first three hours were all stone stairs, that took us right to the highest pass of the Inca Trail at Warmi Wanuska. We arrived breathless at the top and were rewarded with the spectacular views of the Andes, the Huananay and surrounding mountains covered in snow. We had made it up Dead Woman’s Pass. It was freezing cold but well worth this tough climb. One step, one deep breath, and on it goes. As you know what goes up, must come down. Thinking that the climb up was the hardest for us to do, we were not prepared for the down. We gingerly traversed the left side of the pass down to our campsite for lunch at Paqaymayu sitting at 3,600m above sea level. This is where Jane had a major wobble. She coped with the upward climb but really struggled with coming down. Her fear is the fear of falling down the steep steps. We were so pleased we opted for walking poles each as this certainly had helped. But nothing had prepared us for the uneven steps which you had to navigate on your bottom coupled with the steepness of the path. Struggling to eat lunch and holding back tears Jane sat by the river and contemplated the next move. She couldn’t go back at this stage. If there was an injury they called for a horse, but she didn’t have an injury. She was overcome with tiredness. Jane was also worried that as she was slow that she was holding up the others in the group. Victor, our guide, was very supportive, he was there to challenge us all and to ensure that we trekked in a safe and secure manner. He suggested we started trekking now before the others had finished their lunch. We had to remember this was not a race, and there always was a guide bringing up the rear. Victor and the rest of the group, of course, would catch us up in due course. He pointed out the path up the mountain and explained there is no way that we would get lost, he would catch up with us by the time we reached the summit. Jane took a deep breath, pulled herself together, and we started out. Climbing slowly, we left the group behind us beside the river enjoying their last moments of rest before they too headed off. We headed towards Runkuraqay, in the rhythm that we were getting used to, one step, one breath. The others caught us up and passed us as we started the slow descent to our next campsite arriving at 6 pm. We were still one of the last of the group to arrive, another couple were feeling the effects of altitude sickness and the four of us arrived into camp in darkness. Our group were patiently waiting for us in the dinner tent and our meal of Peruvian Vegetable Soup, pasta and chicken was welcome, washed down with lots of hot chocolate and coca tea. A stiff drink would have been very welcome at this stage, but alcohol is banned during the trek. The temperature dropped at night to well below freezing. We were wearing all our clothes as the sleeping bags we purchased were not of the right thickness for this weather. The toilets were behind our camp site and we needed our head lamps to guide us in the dark. At 5.00 am on the morning of Day 3 of Machu Picchu, we were welcomed with a wake-up call and a cup of very hot scolding tea. We stepped out of our tents to see the most magnificent sight of snow-capped mountains that surrounded our campsite. It was dark last night when we arrived and we did not see where our campsite was positioned. The cold morning air chilled us to the bone. Yay! Lots of hot chocolate and porridge for breakfast to warm us up. Today should have been an easier day but we still had to manage what is known as ‘the gringo killer’ 3,000 uneven Inca steps downhill. After breakfast, we hiked the Inca pathway, most of it still in its original condition, with a crawl through an original Inca tunnel to top it off. From there we reached the 3,000 steps, all downhill, very steep and several of them Jane had to traverse on her backside as we headed towards Sayamarca, situated at 3,497m above sea level, it is an archaeological complex which translated to ‘inaccessible town’ and was perched on the edge of rocks. The trail wound through cloud forests full of rare orchids, hanging mosses, bromeliads and tree ferns. A gentle climb took us up to 3,700m which gave us incredible views of the peaks of Salkantay at 6,271m and Veronica at 5,750m. 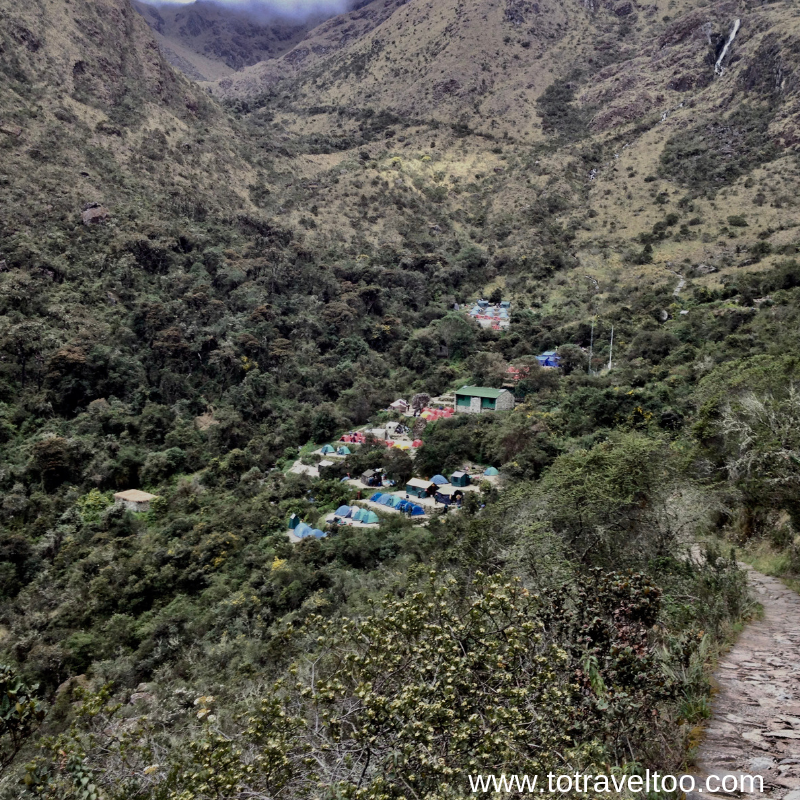 As we came to the impressive ruins of Phuyupatamara (a cloud level town) we had two options – either to go down the paved Inca road to the impressive site of Intipata or take the shorter trek, they both ended up at our last campsite at Winayhuayna at 2,700m. We chose the short trek which turned out to be the hardest, all downhill, either steep steps or a gravel dirt road where you slipped and slid. Winayhuayna, named after a variety of pink orchids, was our last campsite of the trek. There were impressive ruins located minutes away which we had the option of visiting after lunch but we declined and rested in our tent. This is the only campsite on our trek that had shower facilities. Sometimes we hear that you may be lucky and have the pleasure of hot water but not this time. We queued and had an icy cold shower, it was our first in 3 days, very welcome, but we can ensure it was quick. Our last night also meant our last dinner and of course a celebration as we had made it this far. We gave our thanks to the porters and their hard work, we complimented the chef for his great meals, and tips were given out in appreciation. We were all in bed sound asleep by 8 pm. A very early start at 3.30am on the Machu Picchu trail which enabled us to be one of the first groups at the checkpoint at 4.3oam for the 5.00 am opening. This last part of the trail from Winayhuayna takes about 1.5 hours and is clearly marked, we were trekking in the dark so headlamps were required by all of us, some sections were also quite narrow. To be honest, it was harrowing for us with little light to guide us. We traversed a lush cloud forest of giant ferns which lead us to an almost vertical ascent of about 50 steps to Intipunku, the Gate of the Sun, at 2,719m. Suddenly, all our efforts, the steep steps, the tough climbs and the tears were all forgotten as we waited for the mist to clear and to get our first glimpse of Machu Picchu. This morning the mist was quite thick and Victor made the decision to move on, we should see glimpses as we headed down the last part of the trek which took us 1.5 hours. Only 500 are allowed to trek the Inca Trail on any one day (this includes guides and porters as well); at 7.00 am the first trainload of tourists arrived at Machu Picchu and these numbers can swell up to 2,500. Our rite of passage for trekking the 4 days gave us a distinct advantage, arriving before the crowds. As we trekked the last part of the trail, she showed her magnificence as the mist cleared briefly. Around the last corner and there she was. How on earth did the Inca’s build it! It was a very moving sight and one that brings you to tears. All our tiredness disappeared as we just stood there gobsmacked. It is one of the most beautiful sights we had ever seen. We were emotional. Our group became one as we stood there in awe, knowing that we had together trekked a very spiritual path that for years was forgotten and only recently discovered in 1911. As part of our Tour, Victor guided us through Machu Picchu for two hours, explaining the use of each temple and building and the history of the Lost City. After our guided tour we could either opt to stay and wander around the site or head down into the town of Aguas Calientes. Our passports were stamped showing that we completed the trek and we headed towards the exit to catch the bus down the mountain. A few of us were to collect our bags in Aguas Calientes from the local restaurant – Pizzeria El Ayllu. We decided to meet the group there for pizzas and well-earned beers throughout the afternoon till our train departed at 6.45pm for Ollantaytambo. The train journey took 1.5 hours to Ollantaytambo and a bus transferred us to Cusco arriving at 10.30pm. Arriving back at Tikiwasi Hotel, we welcomed a hot shower and a comfy bed. Machu Picchu is located in the Southern Hemisphere in Peru in South America. It is located on the eastern side of the Andes Mountain range. It is located 80 km north-west of Cusco and 503 km from Lima Peru. 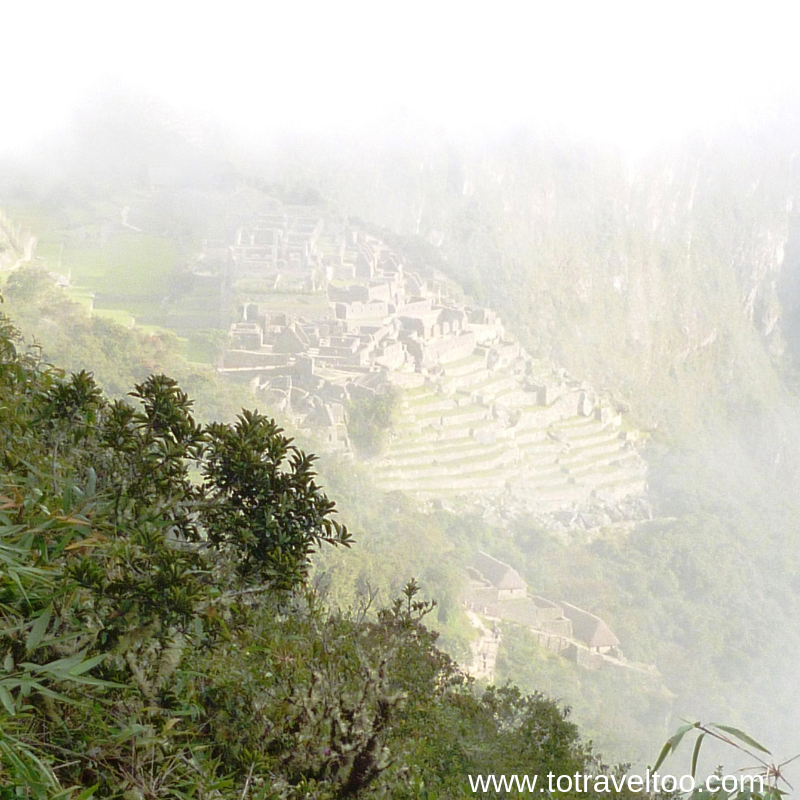 The Inca Trail is closed during the month of February. The rainy season starts in December and can finish in either March or April, usually March. May and June are normally dry and the weather is mild. July to November is cooler and dry. The weather can change suddenly at all times when visiting Cusco and Machu Picchu. Be prepared for rain hail and shine. 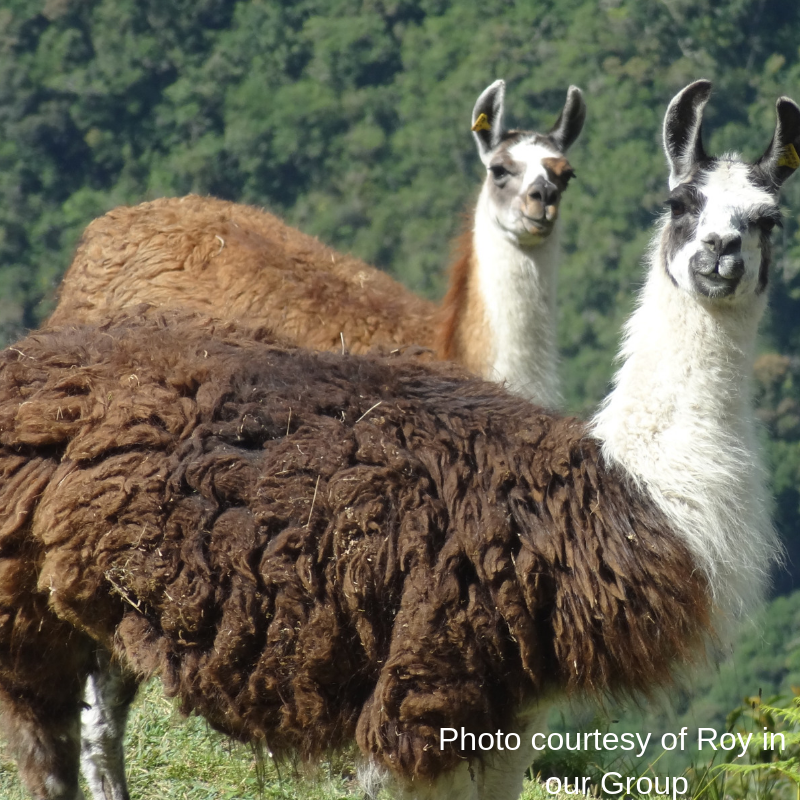 There are many companies that provide tours to Machu Picchu, depending on whether you want to arrive by train or trek. 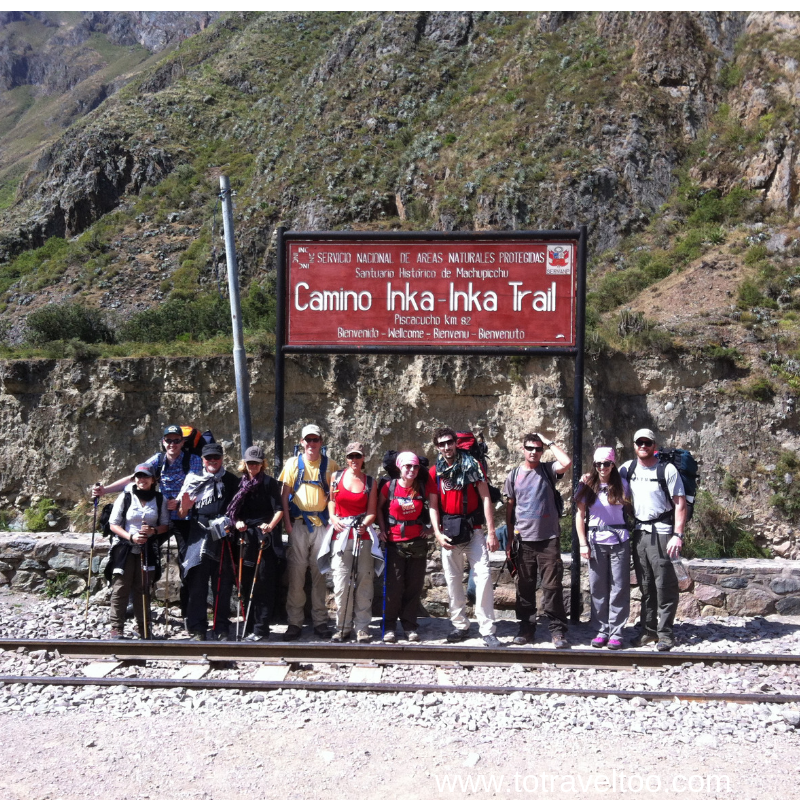 If you are considering the 4 days 3 night Inca Trail Trek you will need a permit. Check with the company before you book whether they have the permits available on the day that you would like to depart. Currently, permits are required to be booked 6 months in advance. You can purchase Machu Picchu day tickets in advance as well but not as long as the required 6 months. 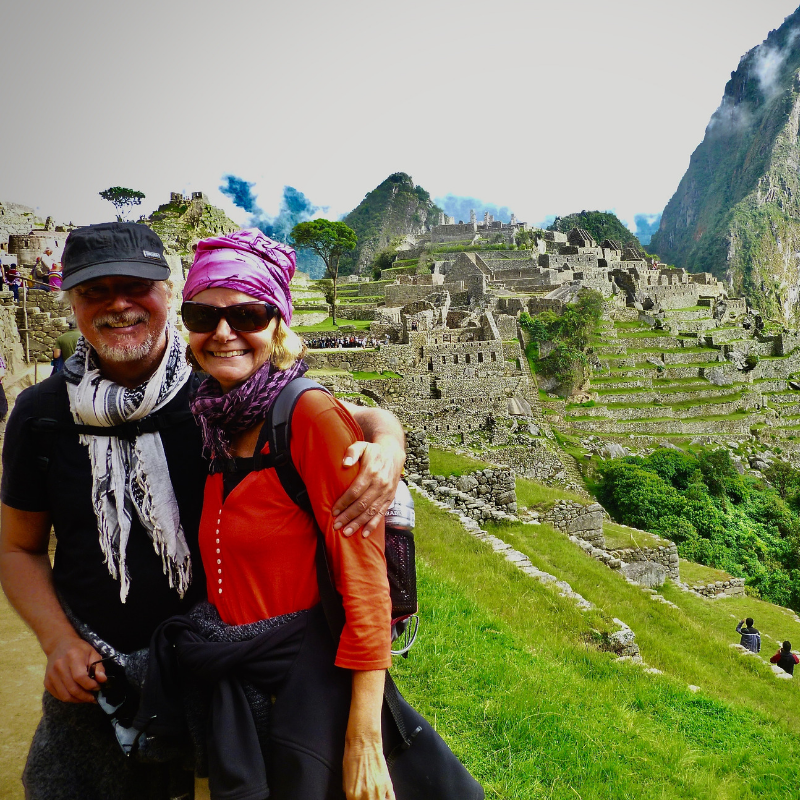 You will need to be aware that acclimatisation is the key to trekking in Machu Picchu. 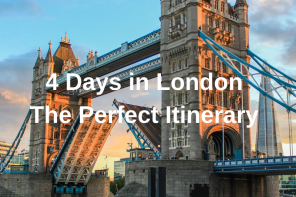 We highly recommend arriving at least 4 days in advance to give your body a chance to acclimatise. Coca tea seems to alleviate the symptoms of altitude sickness which are light headiness, headaches, nausea and vomiting, fatigue and shortness of breath, lack of sleep and lack of energy. Altitude sickness can affect anyone, just because you may have a high level of fitness, you could be the one who is affected. 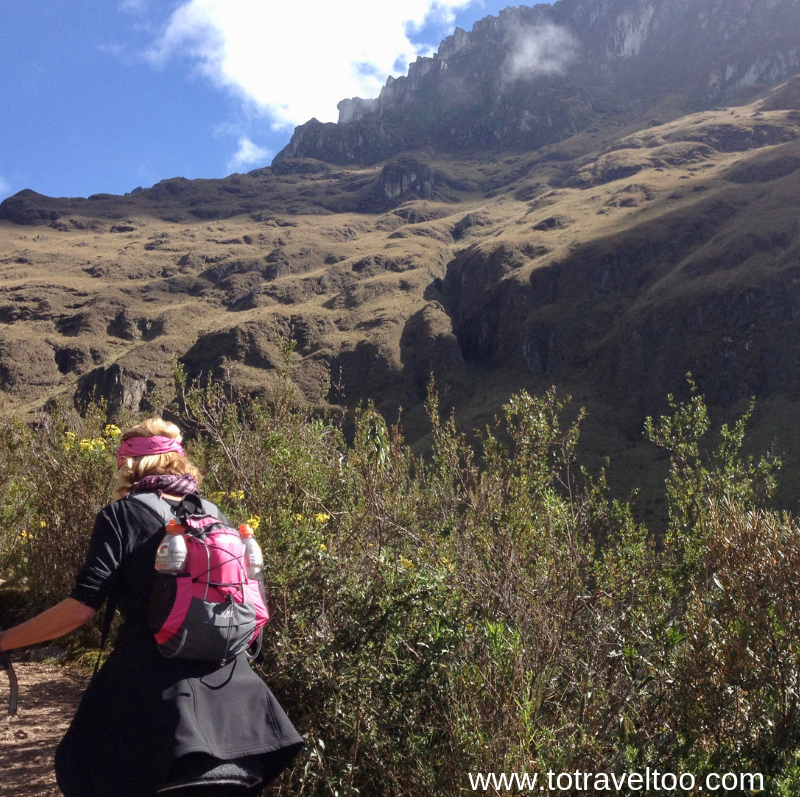 The Inca Trail trek to Machu Picchu covers 45 km (26 miles) over the 4 days. For the latest flights to Cusco, we recommend that you check out the latest fare deals with Skyscanner. The flight time is 1 hour and 20 minutes from Lima to Cusco. 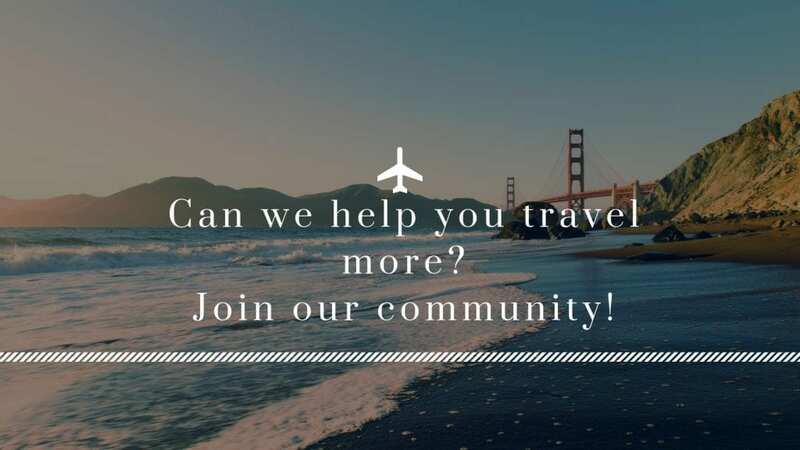 You can pre-book a private transfer from the airport to your hotel. The train is the best way to travel between Cusco and Machu Picchu. You can enjoy the luxury of the Hiram Bingham Train or the day tour on the Vistadome train from Cusco. 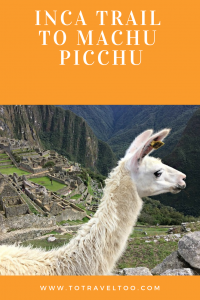 A tour is available from Cusco to Machu Picchu which includes the hike to Huayna Picchu– this is a perfect solution if you are short of time. 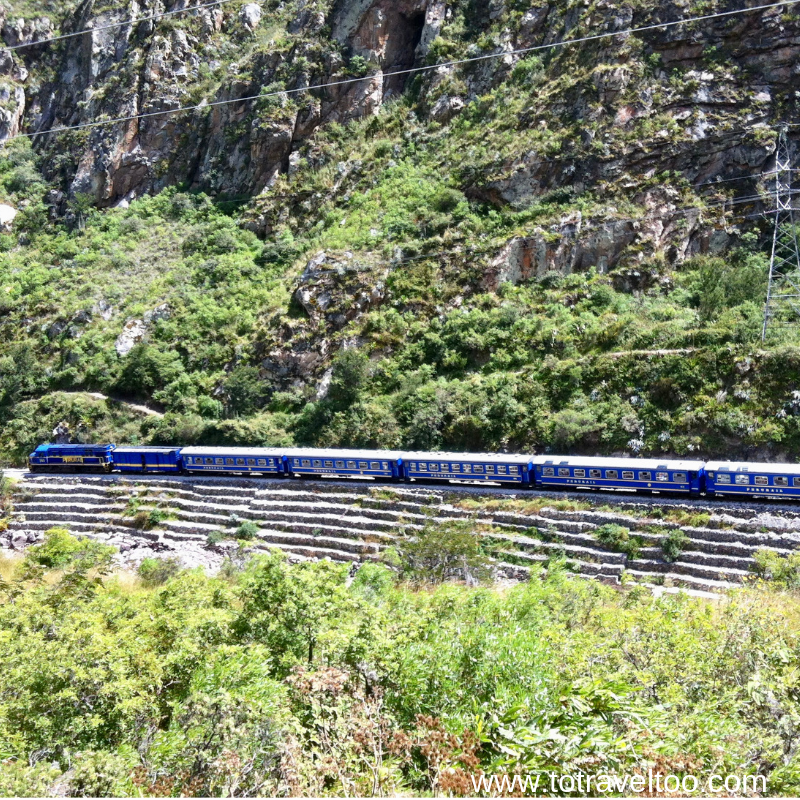 You will travel by train from Cusco to Aguas Calientes. It is recommended to pre-book a tour that collects you from Agua Calientes by bus for the journey to Machu Picchu. The ticket also includes the entrance fee and a 2 hour guided tour. We can recommend a guided tour as if you do decide to do it on your own you miss out on vital historical information. For more information and pre-purchase of your ticket click here. There are only a certain number of tickets issued each day, we recommend that you pre-book. We stayed at the boutique hotel Tikawasi on 3 occasions when in Cusco and can highly recomment it for the location, views and comfort. We preferred to stay in the San Blas area of Cusco. It was perfect for restaurants and bars, sightseeing, close to the Plaza de Armas and tour operators. 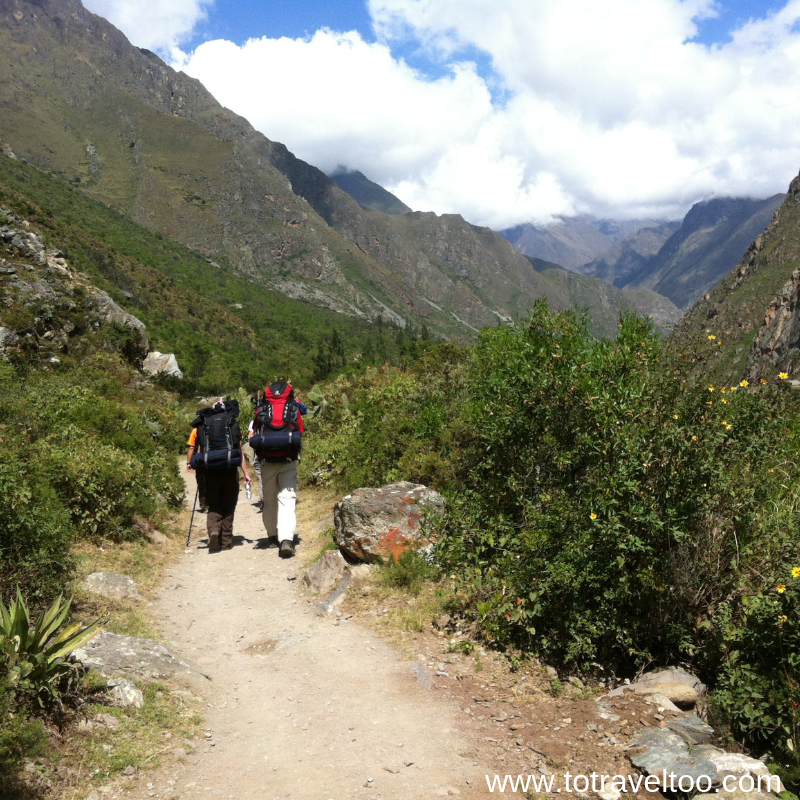 You will need to consider your Inca Trail Packing List carefully. You can hire a porter to carry some of your gear if you wish. We did and it helped during the trek as we only had to carry water, snacks, beanies and gloves. You will also need to bring some money to tip the porters and guides as well as to buy snacks on day 1 and 2 when available. Money is also needed when you complete the trek and are heading to Aguas Calientes for lunch or dinner etc. Snacks such as chocolate, nuts and Gatorade etc are recommended. Toilet paper, toothbrush and toothpaste is recommended. Extra batteries as there are no charging facilities. A lightweight towel if you manage to shower on Day 3. Underwear for 3 days, we would recommend sports bras. 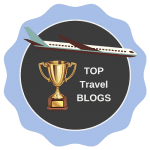 Thank you for the link back to SixLegsWillTravel – so coincidental that Simon started putting up some articles about Peru at the same time as you. He promised them a couple of years ago but my recent temporary incapicity has forced him to finally come through. They were a great read. Glad to see that you are on the mend. I didn’t realize it booked out so far in advance! I’m dying to make it there! My husband is all about doing the challenging trek- I however just want to see the view. It looks even prettier than I imagined! Thanks for your comments. Do the trek! It is so totally worth it! You’ve covered one of the most iconic trails brilliantly, and thanks for all the tips and recommendations. I knew it was a hot destination, and had heard that they are limiting climbers, but didn’t realise that so much planning and booking for required. Nevertheless, if I can’t make it, it’s always a pleasure to read other people’s accounts, very much like yours. Thanks for your comments. 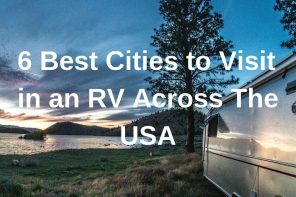 It is one destination that does take a lot of planning but it is worth it. Hope you can trek it one day. This is on my bucket list! My husband and I have been wanting to do this for awhile! Thank for sharing your experiences- both good and bad. It was nice to read that your guide was supportive when you struggled and you were able to pull through! Thanks for your comments. The support is amazing when you go through something like this. It is a tough trek but I am so glad I pulled through. 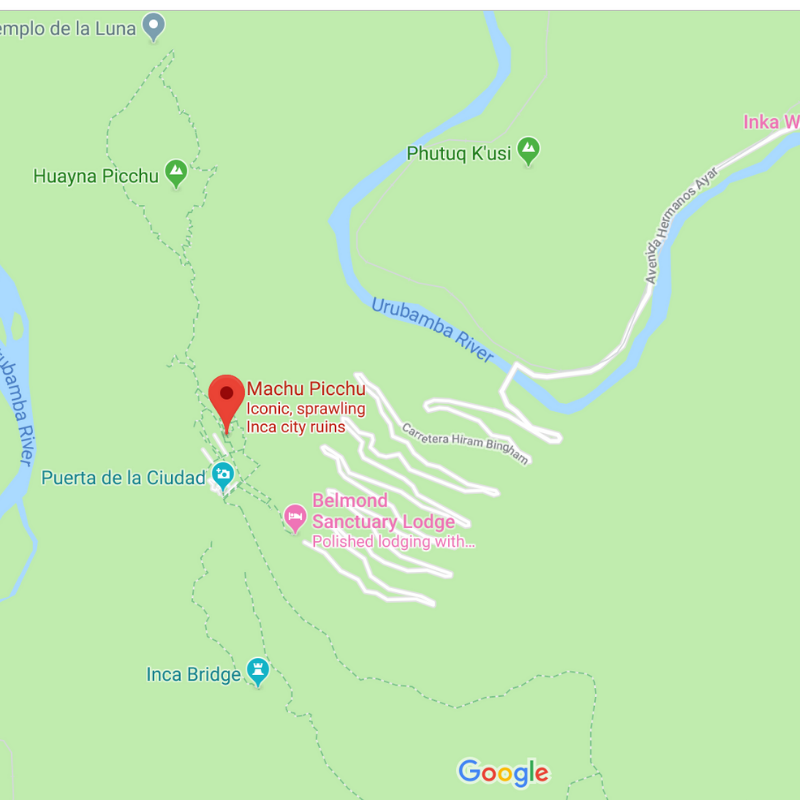 There are so many people who visit Machu Pichu and only talk about the top, making it seem like it’s a breeze and no real planning goes into it. This is the first post I’ve seen where the actual journey is described, and I loved it! I really got a sense for the dedication and planning it takes to get to the top, and therefore when you wrote about arriving at the grand finale, I felt that I was celebrating and seeing the reward with you! You’ve done a great job of taking the reader on a journey. I wouldn’t think that having someone carry your belongings for you was an option, but now that I know that, perhaps I might be brave enough to try the climb as well?! 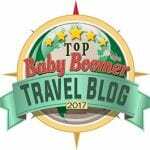 I love this post and can’t wait to check out more of your blog! Thanks for your comments. It definitely is an exhilarating adventure and we hope that you can trek it one day as well. I would love to travel to Machu Picchu one day. I didn’t realize how much pre-planning was involved. It’s nice to know you have the option to do the trek or take a train. Thanks for your comments. Train or trek it is an amazing destination. What an amazing adventure! I can’t blame Jane for the meltdown since I think I would have done the same. Between the cold, early starts and altitude, plus I’m afraid of heights, this was a lot of work! But how proud you must be to have accomplished this trek! Thanks for your comments. I hadn’t considered afraid of heights in the journey, but yes it would be hard to overcome on this particular trek. What a great memory to share! I love that your son was ultimately the one who convinced you both to hike the trail. The trail is definitely on my bucket list, but I’ve always been worried about the training needed for it. You both have urged me to do it, even if it’ll be physically challenging. As always, such beautiful views! Thanks for your comments. Just do it as Nike says. It is such a great experience. Thanks for your comments! It was a tough one but well worth it. Wow, what an experience! 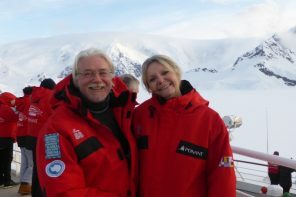 I am no stranger to altitude sickness and I also have a deep fear of heights, so I can imagine what Jane went through. When it comes to hiking, I can put up with a lot of physical effort, but not with the altitude. I tried hiking on Jungfraujoch in Switzerland and almost lost consciousness. Last year we debated wether we should do the Inca Trail to Machu Picchu or go to Patagonia and in the end we opted for the latter. 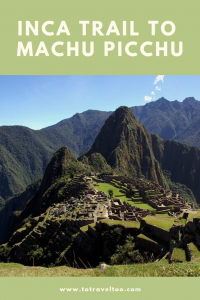 Reading about your experiences, I am convinced that I should take the train to Machu Picchu. Although I’ll have to agree with your son: the right way to do it is by hiking the trail. I know you are a great hiker, altitude sickness can affect anyone at any time. It may not affect you on this trek, but you just never can tell. Patagonia is stunning, we too did it last year.